Endeavour draw 420 is now finished, there is now a new prize home, Endeavour draw 421. Which is a brand new home valued at $1,302,765. Ticket's do sell fast, so be sure to get in quickly! 41 people voted 2.7 stars. 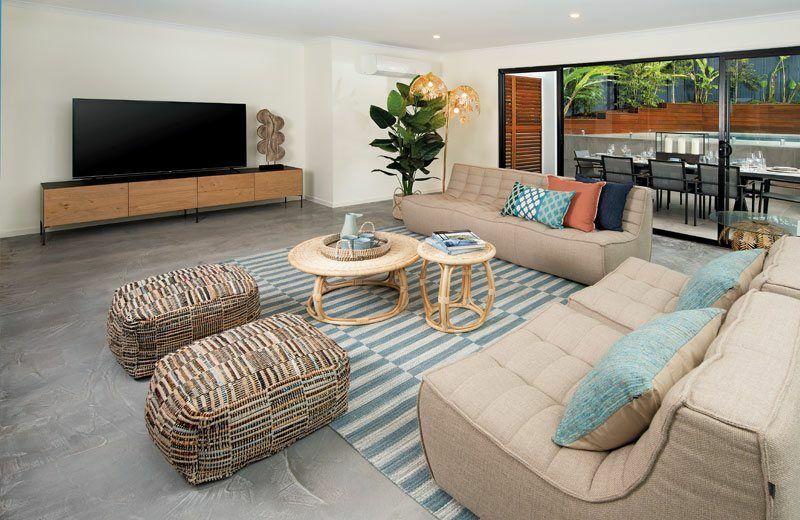 While most contemporary homes strive to create open and uncluttered living spaces, the prize home in Endeavour draw #420 really raises the bar. 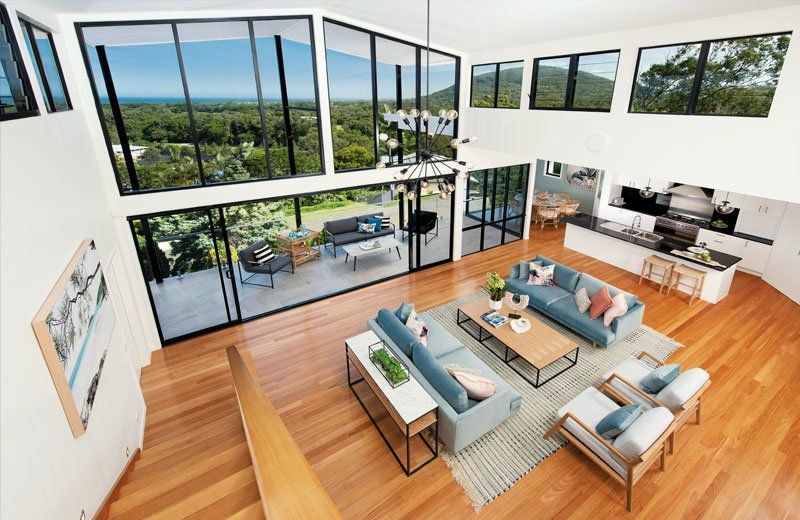 The loft-like upper level looks down on a comfortable living room that has absolutely breathtaking views of the Sunshine Coast. Majestic barely captures the breadth, style and features of this magnificent home. 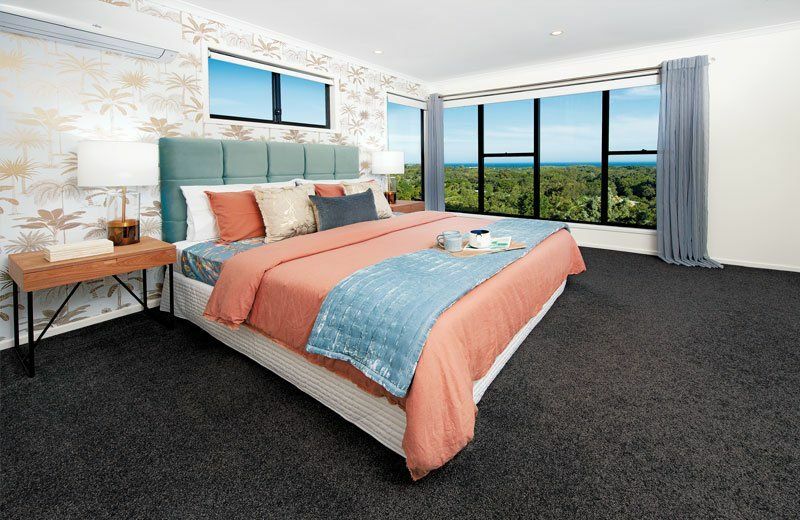 If you’ve always wanted to live in the lap of luxury on the Sunshine Coast, there’s no better place to make it happen than in Yaroomba. 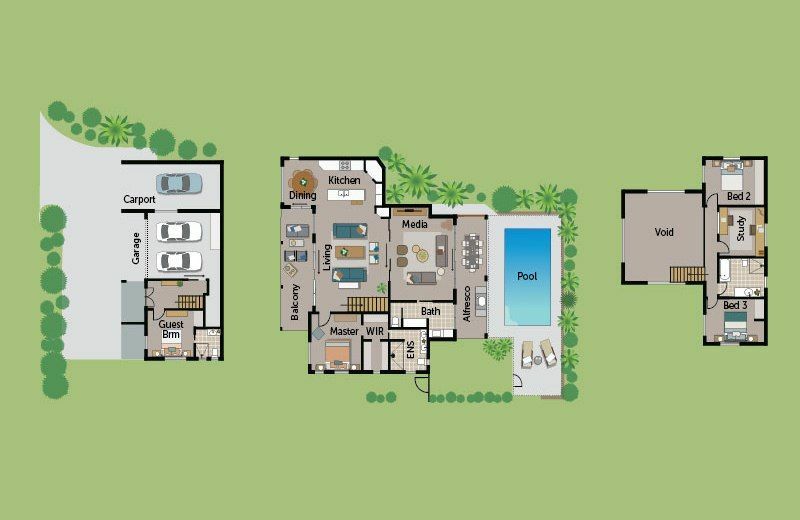 You could soon be experiencing a whole new lifestyle just minutes from the beach and a world-class golf course at the base of Mount Coolum. 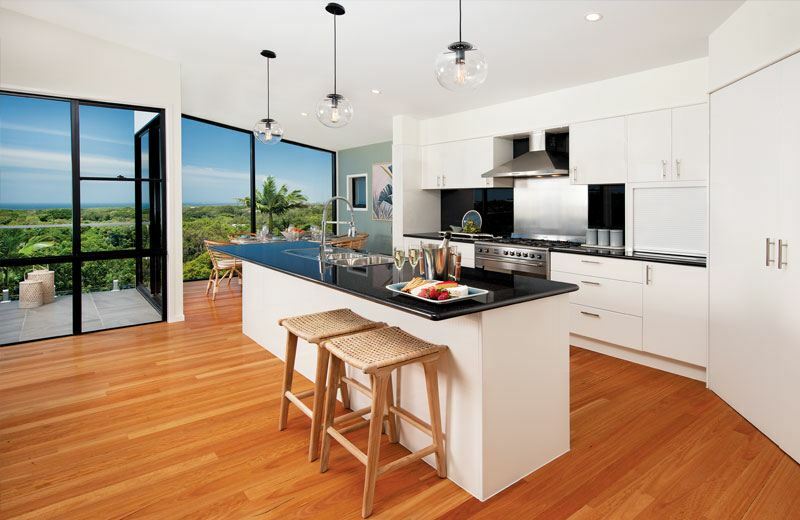 The first prize package is worth an impressive $1.2 million and comes fully equipped with sumptuous furnishings, upscale electronics and low-profile appliances in an impeccable chef’s kitchen. Dine on your poolside alfresco or eat beside the kitchen in a dining cubby that gives you an unimpeded view across the ocean. 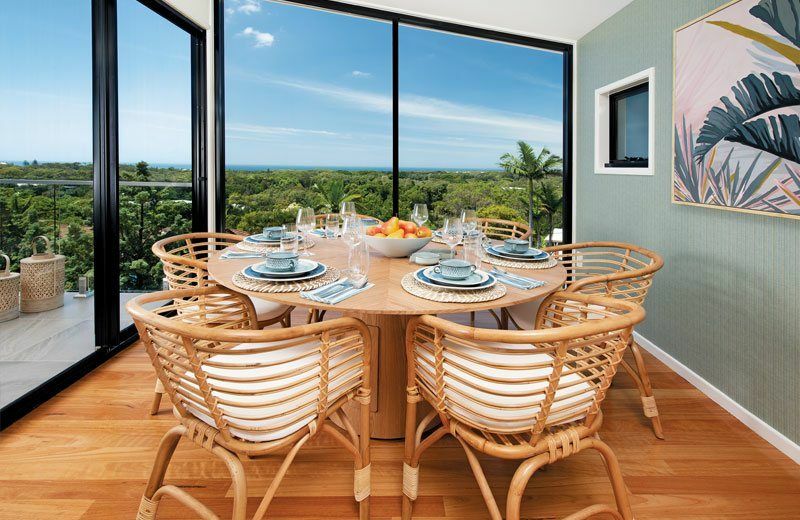 Get your tickets now for a chance to live the dream on the Sunshine Coast. 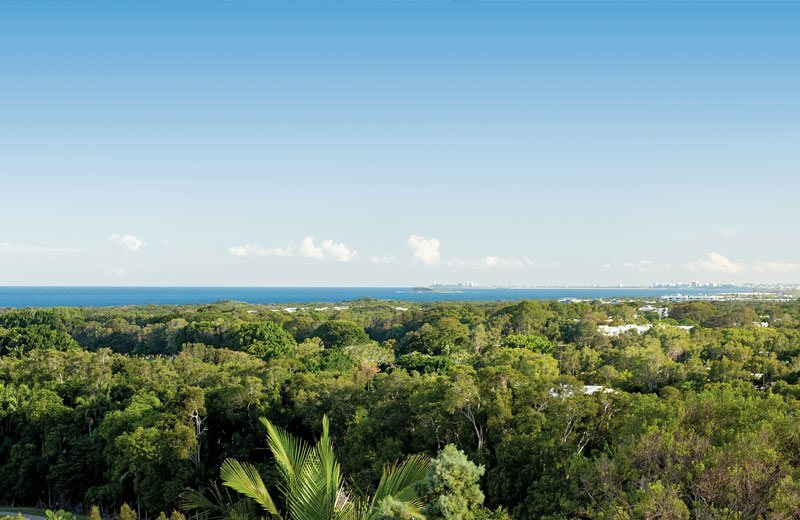 This coastal community is home to less than 2,000 lucky residents who enjoy an unbeatable beachfront lifestyle. Half of Yaroomba is given over to the Palmer Coolum Resort and Golf Course, ranked among the top 100 public access golf venues in the country. Mount Coolum rises over the 18-hole course, making it also one of the most scenic. You can play every day if you like as the greens are just minutes from your front door. If you prefer sand and surf, Yaroomba Beach is just five minutes away. It’s just one of the many iconic Sunshine Coast playgrounds that are within easy reach of your new home. Head up to the Point Arkwright lookout for a picnic or stroll down to the boardwalk at Mount Coolum. If you’re feeling energetic, climb the mountain for a bird’s eye view that goes for miles or stretch your legs along the hiking trails of Mount Coolum National Park. 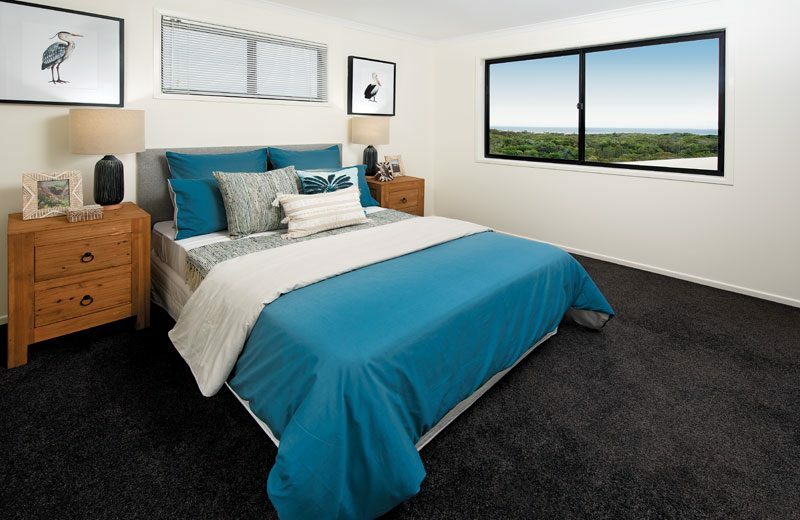 You’ll appreciate how close your new home is to all the other attractions of the Sunshine Coast as well. Noosa Heads is less than half an hour to the north and Maroochydore is about the same distance to the south. In-between, you’ve got an endless selection of beaches, golf courses, fine dining options, boutique shopping, and oceanfront cafes. If you’re ready to make your move to the Sunshine Coast, draw #420 can make it happen! 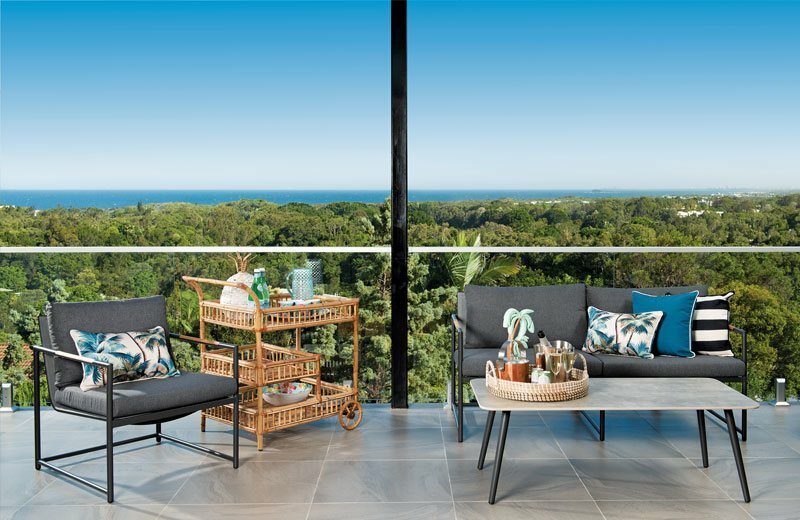 The residence on Binnea Street sits high on a 546 square metre lot, giving it unobstructed views of the coastline and Coral Sea. You’ll be able to see for miles from the bank of floor-to-ceiling windows that grace the front of the home. Whether you’re sitting on your expansive front balcony, relaxing in the living room or gazing from the windows of the master suite, you’ll be mesmerized by the lush greens of the rainforest and vibrant blues of the ocean. 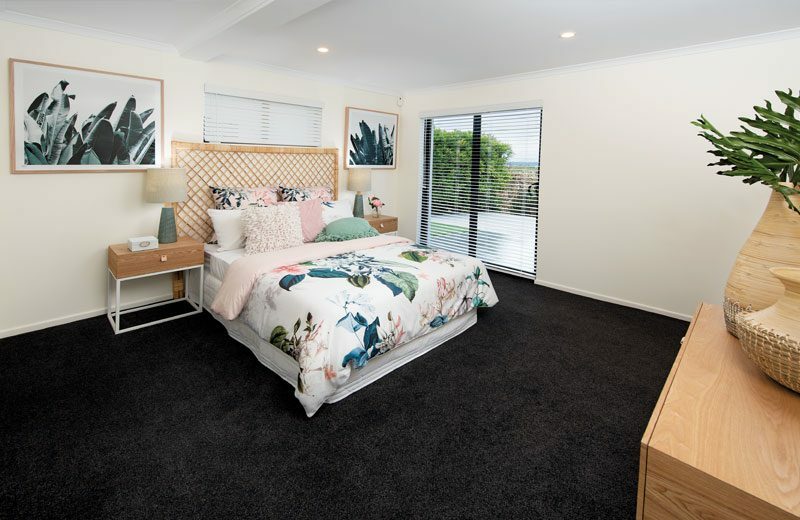 A ground-level guest room with ensuite sits adjacent to the entrance of the home. Stairs lead up to the wide-open main floor living area with its soaring cathedral ceiling and wall-to-wall glazing. The gourmet kitchen and dining room lie at one end while the master suite is tucked away at the other. A wide balcony runs the length of the living room and is wide enough to give you plenty of room to sit and admire the countryside. A wall of attractive timber-accented sliding doors separates the lounge from the massive media room and its state-of-the-art entertainment system. Beyond that lies the alfresco and raised swimming pool. Both give you privacy, elegant comfort, and a choice of places to sit in the shade or sunbathe. Going up one more level, a passageway looks down onto the living area and leads to two more bedrooms and an enclosed study. 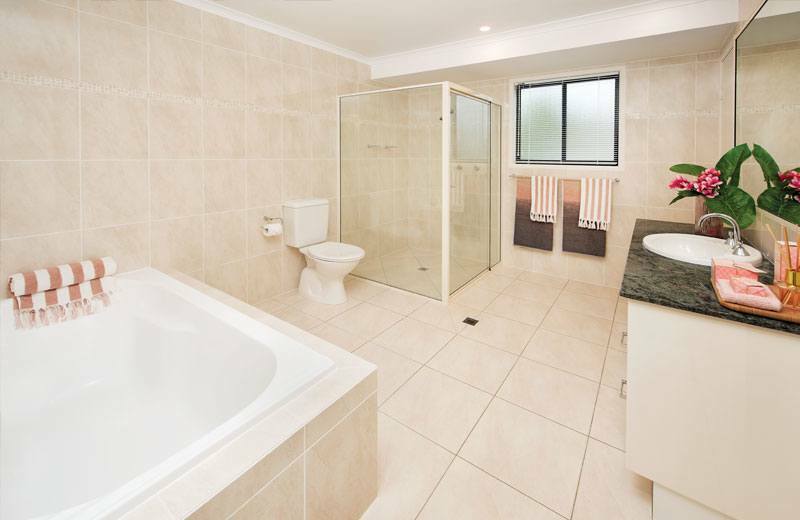 There’s also a full bathroom on both upper levels plus an ensuite off the master and another off the guest room. The exterior of the home has been beautifully landscaped with native plants and rock-wall features. 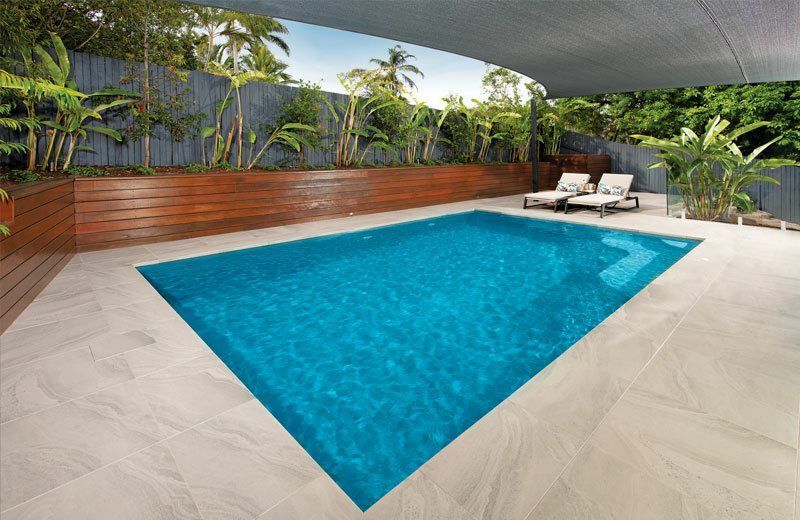 The tiling on the alfresco extends to surround the raised pool deck which is enclosed by a timbered half-wall. 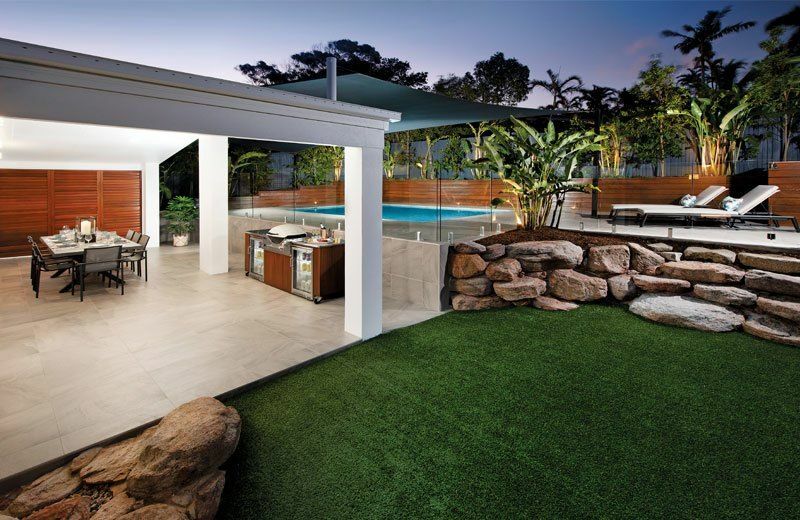 It’s the perfect place to entertain guests and make the most of the gas BBQ and outdoor fridge units. A truly imposing residence with million-dollar views in a quiet community at the heart of the Sunshine Coast. Everything you could want in a beachside retreat. 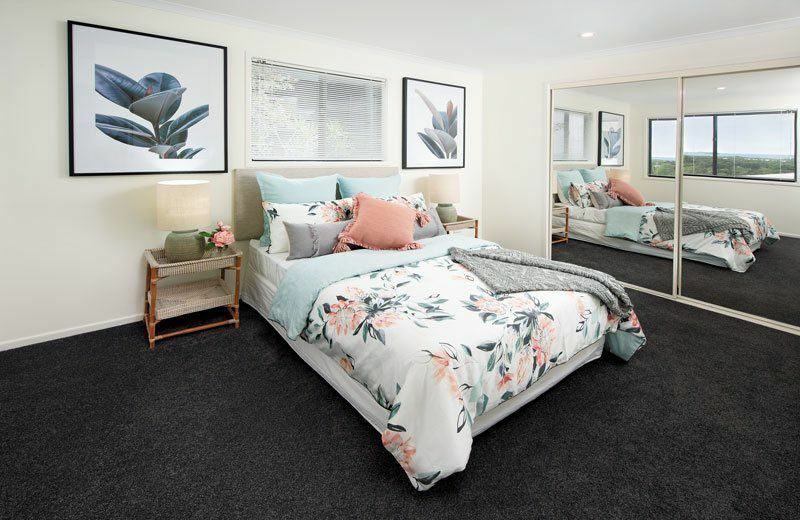 If you choose to rent out the fully furnished four-bedroom home in Yaroomba, you can expect to receive an annual income of approximately $72,800. 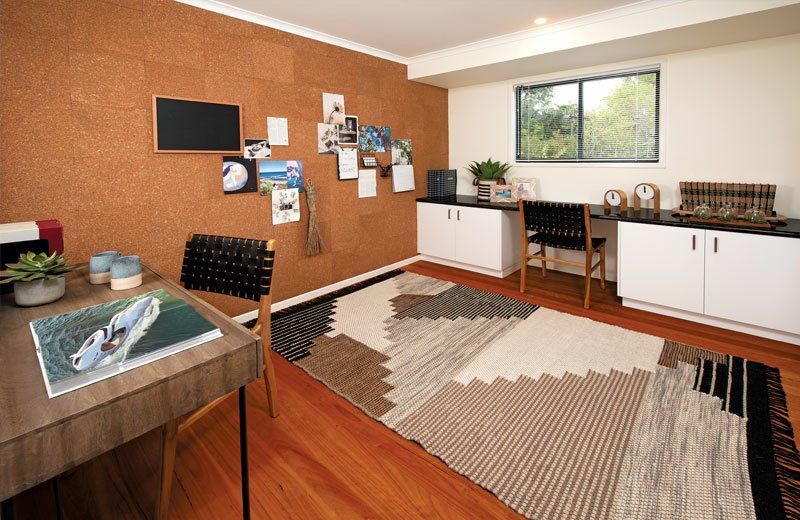 Alternatively, you could keep the furnishings and still rent out the residence for approximately $62,400 per annum. As long as you make your ticket purchases on or before 6 March 2019, you’ll be automatically entered into the Early Bird Draw. That’s a free chance to win $5,000 in cash just for being quick off the mark. What would you do with an extra $5,000 in your pocket? Note that winners from Victoria and New South Wales will receive the equivalent in gold bullion. The Endeavour Foundation Lottery Draw #420 will close at 7:00 pm AEST on Wednesday the 3rd of April 2019. You must purchase your tickets no later than March 6th, 2019 to be entered in the Early Bird Draw. The draw will be held at 11:00 am AEST on Wednesday April 10th, 2019. The draw takes place at the Endeavour Foundation, 33 Corporate Ave., Cannon Hill, Queensland. Members of the public are welcome to drop by and catch the draw in person. Wouldn’t it be amazing to be there when your lucky number comes up! Winners will receive notification from the Endeavour Foundation by registered mail. A list of winners will be published in The Courier Mail on Saturday 13 April 2019. We will also post the list of winners to this site following the draw. If you want to take a closer look at this incredible prize home, you can see it for yourself at 10 Binnea Street, Yaroomba QLD 4573. The home is open every day from 10am to 5pm AEST, right up until the close of the draw on 3 April 2019. 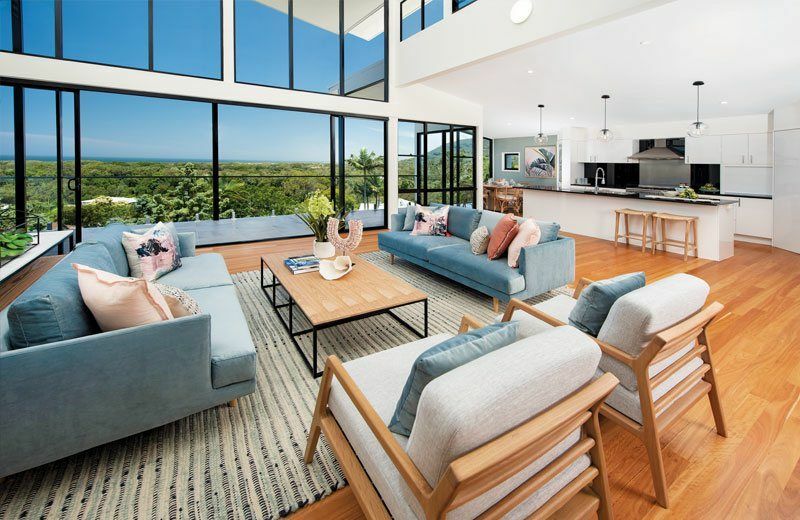 There’s lots of parking available in the area so why not head for the Sunshine Coast for a day at the beach or a round of golf after touring the prize home in Yaroomba. 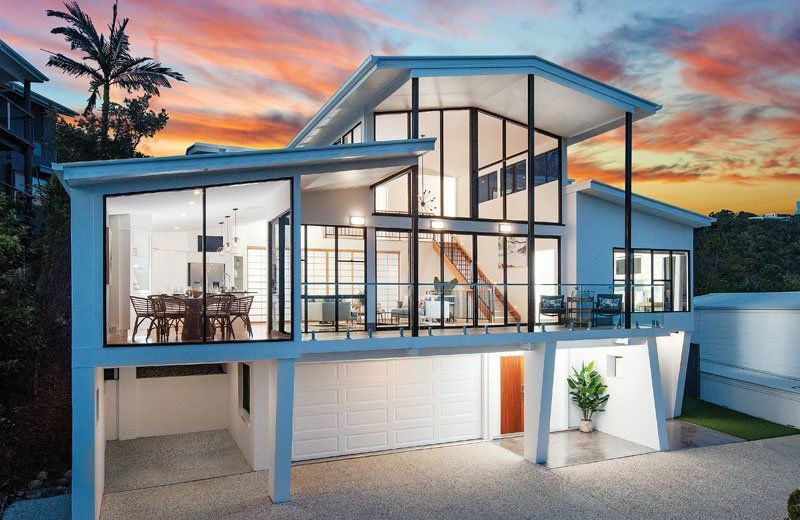 By purchasing a ticket book, you’ll be giving yourself more chances to win the ultra-impressive home on the Sunshine Coast. A single ticket costs $10, but a 4-ticket book is only $30 which is like getting a free chance at the grand prize. A 10-ticket book for $50 is like getting each ticket for half price. Get yours before March 6th to secure your place in the Early Bird Draw. The Endeavour Foundation is committed to helping Australians with a disability live more independent lives as full participants in our communities. Proceeds from your ticket purchases will help achieve that goal, and we thank you on their behalf for your support. We hope you’ll soon be swimming laps in your private pool before heading to the beach for a day of sand, surf and sun. Endeavour draw 420 is now finished, there is now a new prize home, Endeavour draw 421. Which is a brand new home valued at $1,302,765. Take a look!